Sails in v good order, Topsail as new, new boom in 2008. Very well presented example having been re varnished (November 2018). She has a modern Nanni Diesel engine fitted in 2012 along with a new "P" bracket, stern tube and bearer. She also has a new "All over cover" (2018). In 2012 along with new engine and gearbox she had a new toilet and a new boom amongst other work totalling £11,000.00. She is very much ready to enjoy now with little or no further work needed. 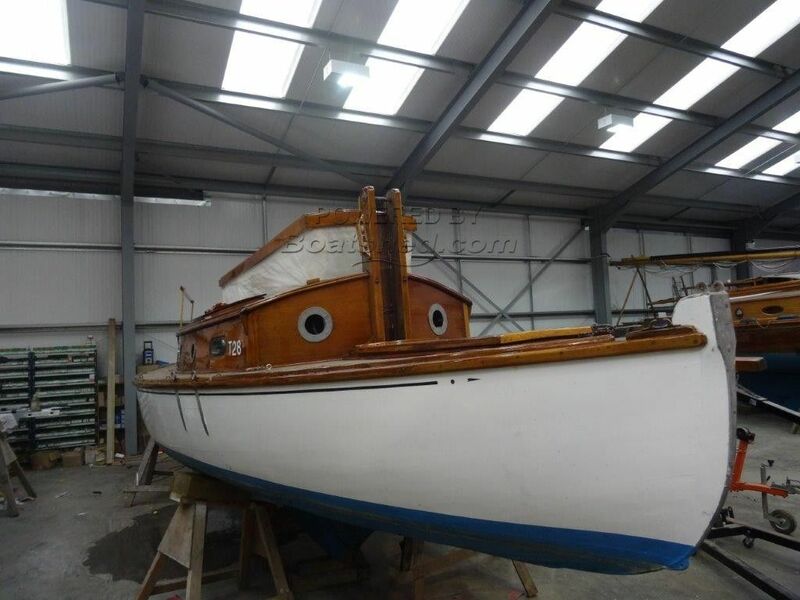 This Ernest Collins Pandora Class has been personally photographed and viewed by Gary of Boatshed Norfolk. Click here for contact details.